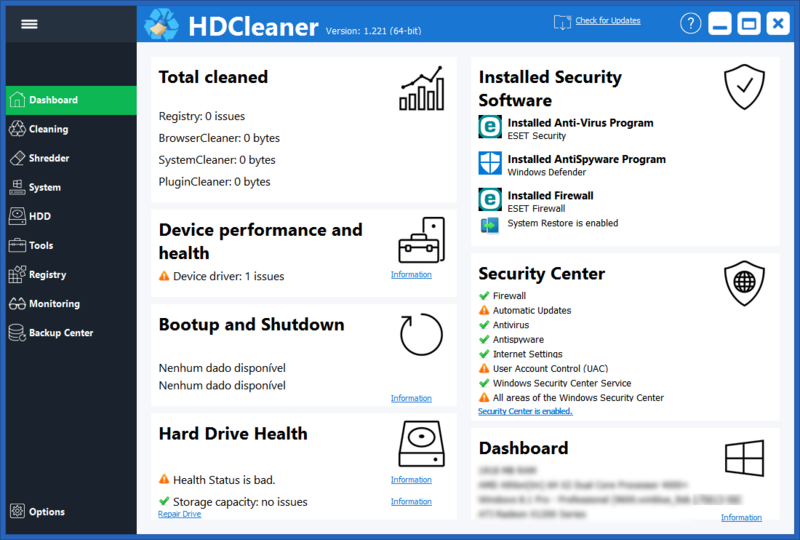 HDCleaner offers a comprehensive toolkit for system maintenance under Windows. Whether you clean the hard disk or the registry, encrypt data, split files, remove traces of use, backup the registry, defragment or search in registry keys, values and data with super fast search algorithm - with HDCleaner you will always find the right tool to speed up your PC and optimize. HDCleaner supports the following browsers: Firefox, Opera, Safari, Google Chrome, SRWare Iron, Edge, Internet Explorer, Chromium Browser, Vivaldi, Cent Browser, Epic Browser, SlimJet Browser, 7Star Browser,Amigo Browser, CoolNovo Browser, CocCoc Browser, CooWon Browser, Yandex Browser, 360 Browser, KMeleon... With over 3000 cleaning and repair functions HDCleaner reduces the junk files to minimum and makes Windows to use less memory, operate without errors which results in faster PC performance. 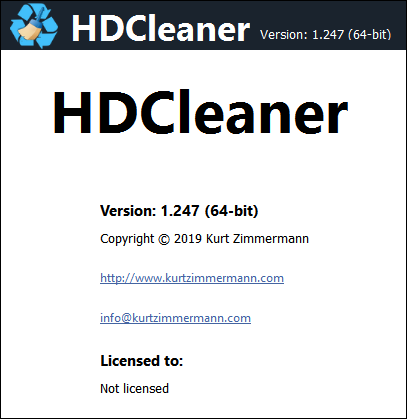 HDCleaner can be run in these languages: German, English, Polish, France, Hungary, Chinese simplified, Chinese traditional, Korean, Slovak, Indonesian, Czech, Greek, Romanian, Hindi, Italian, Netherlands, Portuguese , Spanish , Turkish, Japan, Arabic and Russian. Supports Winapp2.ini. Cleans multiple user profiles. Note: Although it appears on the Information screen : "Licensed to: Not licensed", the software is freeware and without limitations. The reason for this is that in the future the application will be paid, according to the developer.